Terrence McNally’s recently updated It’s Only a Play is a poison-pen mash note to New York theater, at once gleefully bitchy and affectionate. 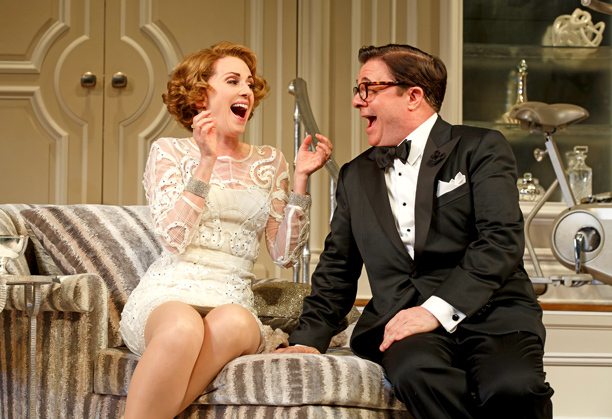 Nathan Lane is perfectly cast as a TV actor who passed on the chance to star in his writer’s friend’s Broadway show and comes to the opening-night shindig with mixed emotions. Alas, his costar Matthew Broderick (as the playwright in question) delivers another somnambulent and overly mannered performance. And while there are plenty of laugh-out-loud moments, there’s just not enough plot to justify two-and-a-half-hour show. You can check out my full B+ review at EW.com.